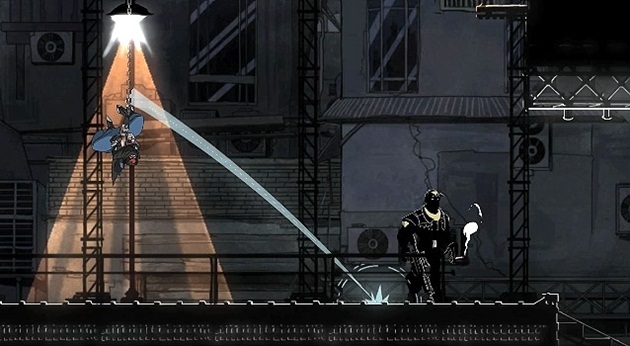 What Makes a Good Stealth Game? It’s not a huge secret that I love stealth games. Really, I like almost any game where winning requires you be observant and get creative with the tools you have, but good stealth games tend to excel at this. After I talked about the stealth mechanics in MGSV, someone asked me why I like that game as a stealth game but not the old Syphon Filter series, or Ninja Gaiden. It got me thinking about what I like in stealth games, and what makes one good. I talk about messaging a lot. Messaging is the difference between dying randomly and dying because you weren’t paying attention. It’s what makes the first ten minutes of Mega Man X some of the most brilliant tutorial game design ever and so many overbearing, annoying tutorials so painfully bad. Messaging is super important in general, but especially important in stealth games. Stealth games are cerebral games more than twitchy action games. It means they’re a lot more complex, and need to communicate how you’re supposed to interact with them in a reasonable sort of way. You need to be able to tell whether you’re about to be seen, or whether that guard is about to turn around, or how to know if you’re about to make a huge mess of things. 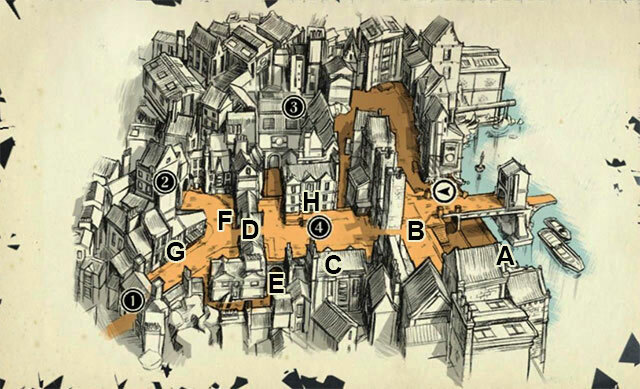 You need to know where you can and can’t go, because so much of stealth gameplay is about traversal and thinking about how to get from point A to point B, often while avoiding obvious paths. Messaging is what makes that work. Lighting lets you know where you should and shouldn’t be, and you need to know where you can reach and where is off-limits, because oftentimes the best route is over or under the main path (more on this later). More important are the little clues and the way the game messages things you can’t intuit. Thief introduced the light bar, which let you visualize how much light you were standing in (since you couldn’t look at your own body to tell). 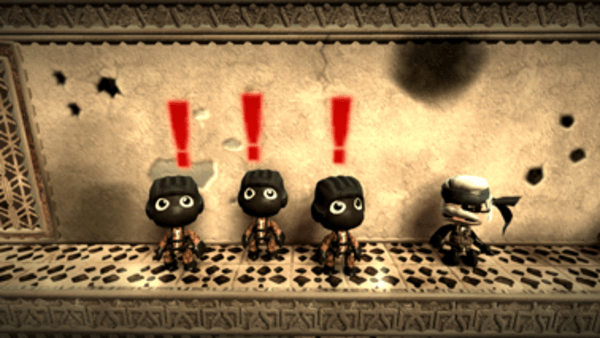 Stealth games tend to have HUGE animation libraries, showing everything from sleeping enemies to reactions to minor noises to investigating to various levels of alertness. Often you’ll have enemies be neutral or hostile depending on where in the map you are, whether you’re somewhere you ought to be or not, and you’ll get warned through animation and voice that you’re approaching a place they’ll turn hostile if you enter. These animations are hugely significant in letting you know how well you’re doing, and it’s why static cameras are so frequently the most disliked “enemy type” in stealth games: they lack nuance. 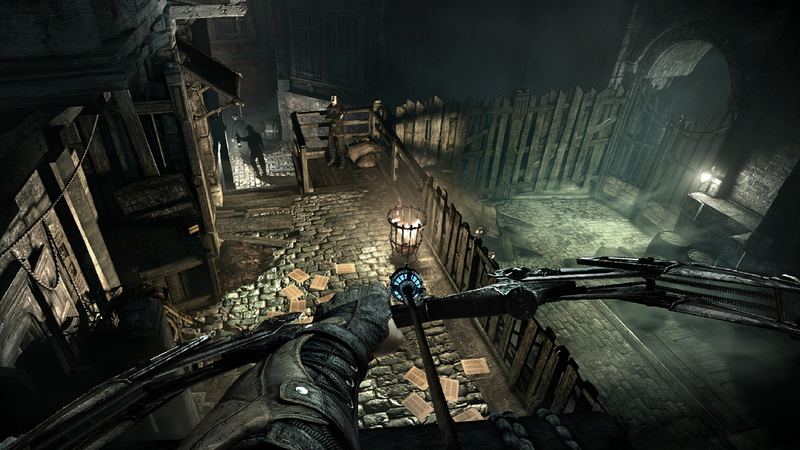 A good stealth game is a master class in level design. Levels in more linear games tend to look like long tubes if you zoom out far enough– the best gameplay in that kind of straightforward action game has you moving through a space where the escalation is controlled and paced appropriately, with respites and restore points timed out as necessary. Mega Man levels tend to be a great example of this done well. By comparison, good stealth game levels tend to look like fairly small boxes. Rather than huge sprawls, they’re interweaving meshes with key locations interspersed throughout. They’re incredibly difficult to make well, because each section has to have multiple ways in and out and many different paths while still giving you the ability to fire off scripting triggers and story beats appropriately. Key to a good stealth game are providing options. Are you bad at moving quickly under pressure? Take the slower, safer route. Are you good at knocking out guards but bad at traversal? Go through the guarded route and take out your opposition. Maybe a little of both. It’s why some of my favorite stealth games are ones like Deus Ex or Assassin’s Creed, where (for the most part) you can choose exactly how stealthy you want to be, if at all. One of my favorite stealth games was Hitman, specifically because despite the premise, it was best played as a significantly non-violent game. It let me play almost entirely non-lethally, save for the target, and in later stealth games I’ve prided myself on playing as non-lethally as possible. It changes the language of games for me from one of overwhelming offense in the face of violence to one of thoughtful conflict-avoidance and nonlethal approaches. Being able to make that choice (which is usually the more difficult option) feels meaningful, like I’m adding challenge but for a good reason. I can hold myself to a particular high standard, knowing that it’s self-imposed and not forced on me by the game. Bad stealth games throw you to game over or make you restart if you mess up, get seen, whatever. Good ones expect that you will mess up and give you ways to get yourself out of trouble. 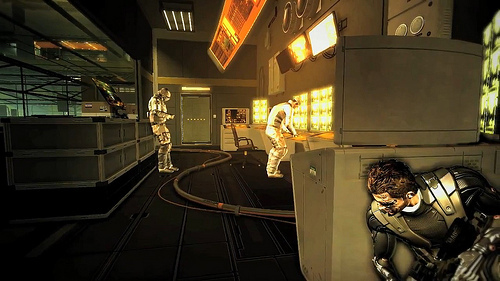 Entire mechanics are founded on finding a way out of trouble, and it means that good stealth games can make their stealth components MUCH more difficult. You’re expected to fail at some point, and then get yourself out of the pot that you put yourself in. Often, early on in the game, you’ll be put into a situation where you can’t avoid failure, to teach you how to escape and right yourself. It’s cheap if done too often, but incredibly effective (and good messaging) when done well. You’re often much weaker than even basic enemies, or very easily dispatched by them, to make failure sting a bit (but never instantly end the game). The original Thief pitted you against guards that were both better than you were with a sword and far stronger and more resilient. A swordfight with a single guard would leave you badly injured and limping along, a swordfight with two at once almost always meant death. But, you could get by. You weren’t *guaranteed* to die, it was just very likely, so that time a pair of guards managed to spot you and pull swords meant you probably wanted to run, hide, and then work your way back more carefully. Staying and fighting was a choice, and if you were good enough and knew what you were doing, a choice you could make and come out victorious on the other side. 5.) You Are Special, But Not More Powerful. Not special in mundane ways. In many shooters, you simply can get hit more times than your enemies can, and recover faster, so the end result is you are just bigger and better than most of what you fight. In good stealth games, you’re usually not bigger or better, but you have tools, or skills, or simply view the space in a different way than your foes. Height is an advantage, and you avoid roads in favor of rooftops (and have the skills to get up to said rooftops. You can open locked doors, or move quietly, or see in ways your enemies can’t. As above, good stealth games are cerebral, so the tools you get are a celebration of brains rather than brawn. The exciting huge missile launcher and powerful giant axe are celebrations of brawn, the far more common celebration in games, but stealth games give you smoke bombs, and lockpicks, and water arrows so that you can prove that you’re smarter than your enemies, not stronger or tougher. It goes back to the choice thing– the very best stealth games let you choose how you want to play them, and that may not involve being stealthy at all.